this is for all the vegetarian dads out there! maybe you feel excluded by the other dads at neighborhood block parties, flipping burgers and wallowing in their own masculinity. or maybe you’re just sick of eating frozen amy’s burritos while the rest of the family dines on steak and potatoes. black beans, rice, and chipotle peppers are bound together with panko breadcrumbs and formed into patties. after getting a nice sear in a hot cast iron skillet, they’re topped with swiss and covered until cooked through. 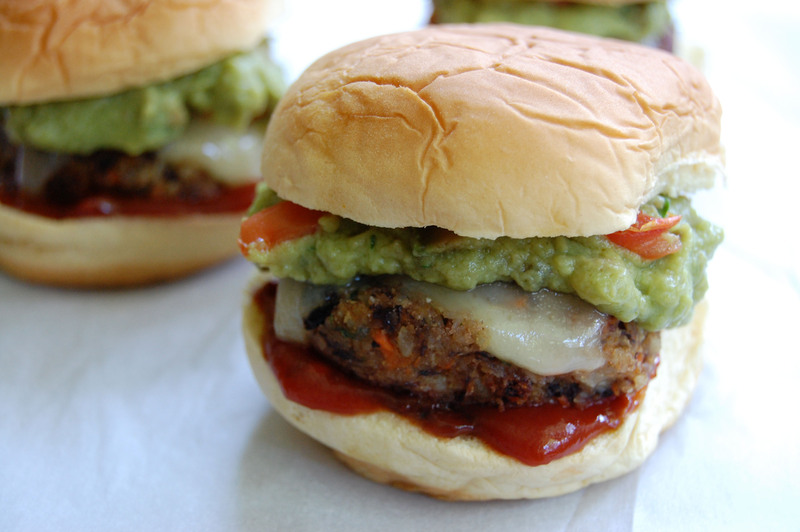 guac and chipotle-spiked ketchup join the party, then everything gets piled up into soft golden potato rolls. dads, make these for father’s day dinner to prove your importance to the family. 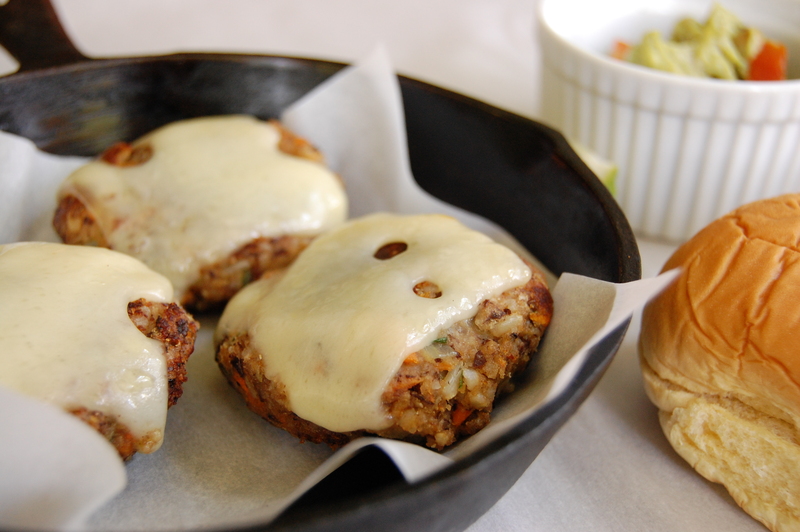 or moms, make these for your (vegetarian or otherwise) husbands and watch their eyes widen. for the burgers, heat the 1 tsp of oil in a skillet over medium heat. add the onions and saute until translucent. add the garlic, chipotle, and cumin, and season with salt and pepper. cook until the garlic begins to turn brown, about 30 seconds. scrape the mixture into the bowl of a food processor, and add the beans, rice, and lime juice. process until the mixture holds together, but is still chunky. transfer to a large bowl, add the breadcrumbs and cilantro, and mix with your hands until combined. 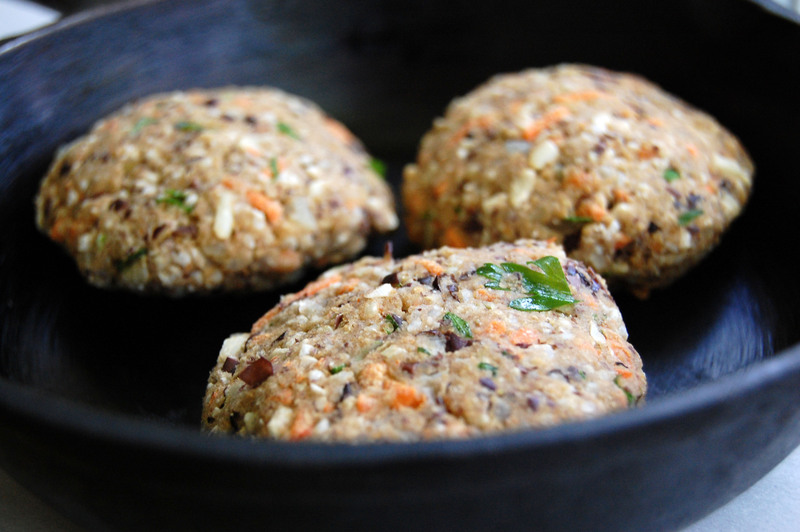 form into 8 small patties and place onto a parchment paper-lined plate. refrigerate for 30 minutes. heat the remaining tbsp of oil in a large skillet over medium heat. cook the patties for 3 minutes on one side, then flip. put a slice of cheese on each patty, then cover the skillet. cook for 3 more minutes, then remove from heat. 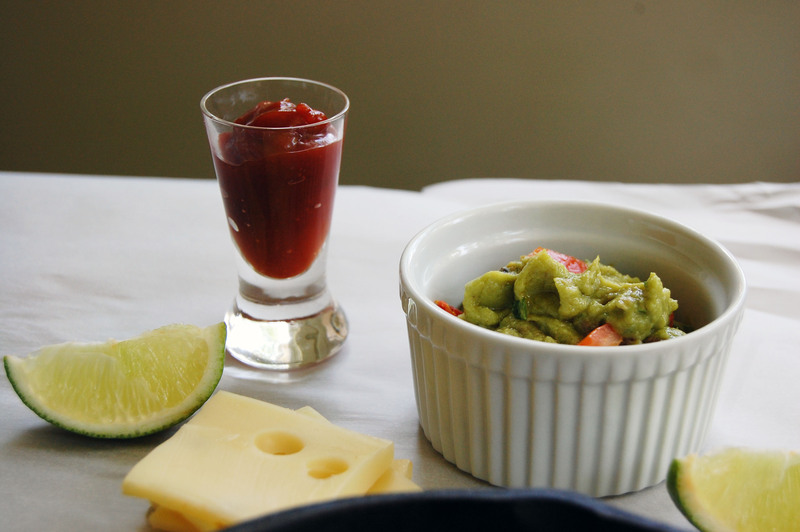 for the guac, mash together all ingredients except the tomato until chunky. fold in the tomato. cover and refrigerate until ready to serve. stir the ketchup and chipotle sauce together. 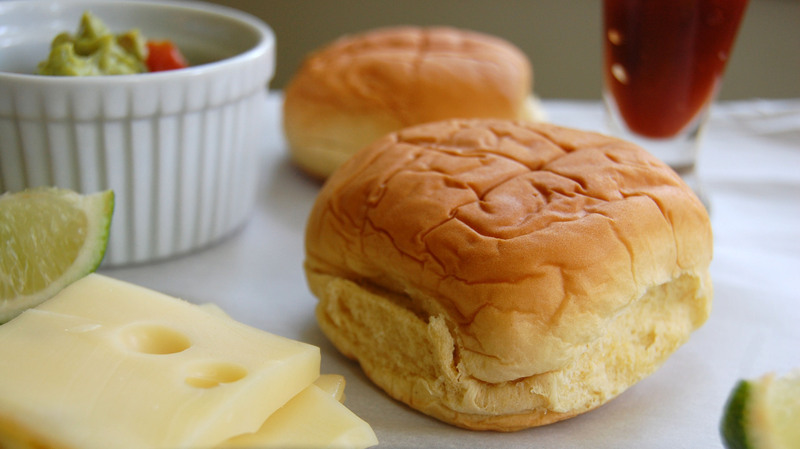 to assemble, warm buns in the microwave or in the oven. 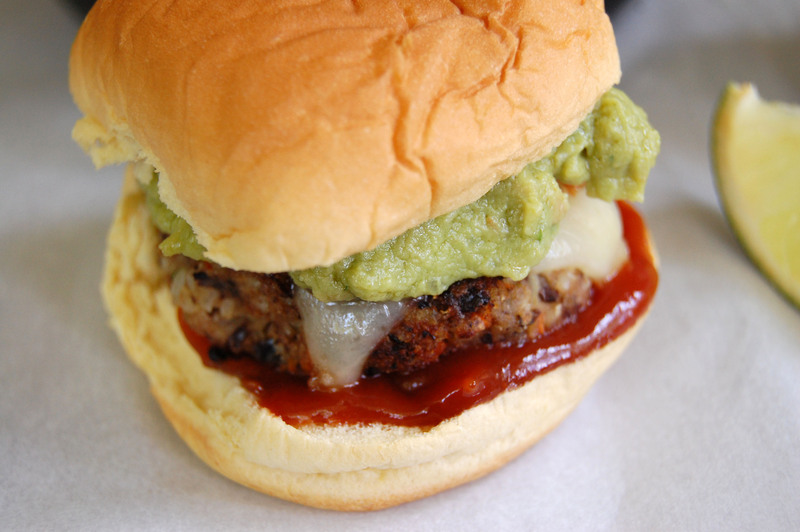 spread generously with ketchup, then top with a patty and some guac. serve with sweet potato fries and sparkling lemonade! Just had a particularly good black bean burger at a restaurant and can’t get it out of my mind since. I will be making these ASAP.